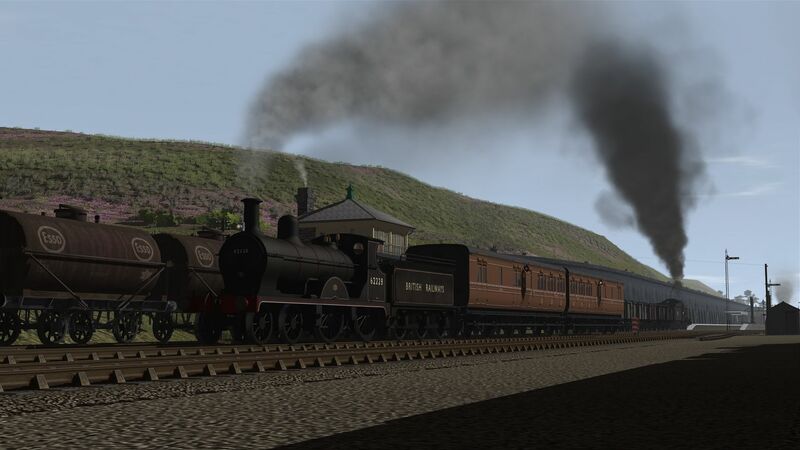 Summer 1914 and GNR Ivatt C1 Atlantic brings the 2:20 p.m. East Coast Joint Passenger Express from Kings Cross to Edinburgh over Chaloner's Whin junction to the south of York. 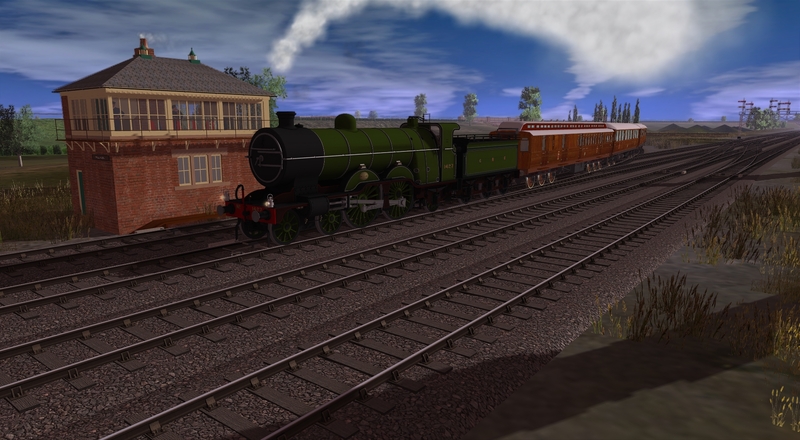 This train was unofficially named "The Afternoon Scotch Express" and since it was bound only for Edinburgh it boasted a dedicated First Class carriage, a 1908 diagram 58 elliptical roof Gresley vehicle. 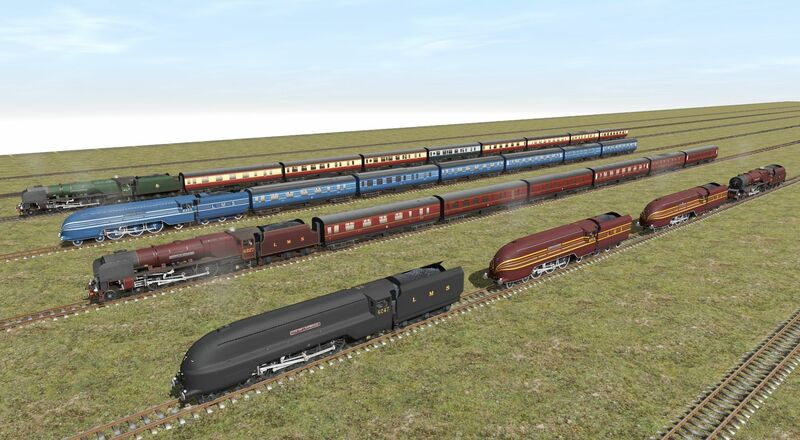 Most Third Class passengers were accomodated in relatively new elliptical roof carriages of the same standard as the 1914 10 a.m. "Scotch Express" (later named by the LNER as "The Flying Scotsman"). 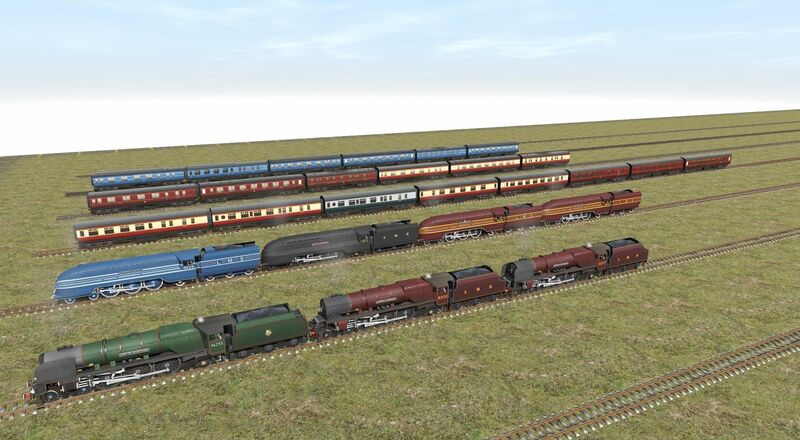 The catering triple set of carriages (RF, RTP and TO) were clerestory roof vehicles but certainly sufficiently prestigious for the service. The Diagram 77A RF had been recently rebuilt with larger windows. 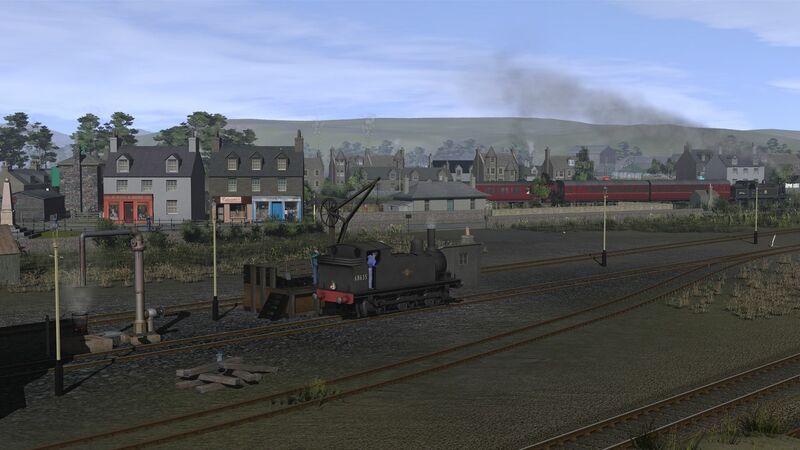 Wonderful screenshot of a pair of hard working engines at #1709 Ken. And a great nor'eastern screenshot at #1711 from you too Frank. 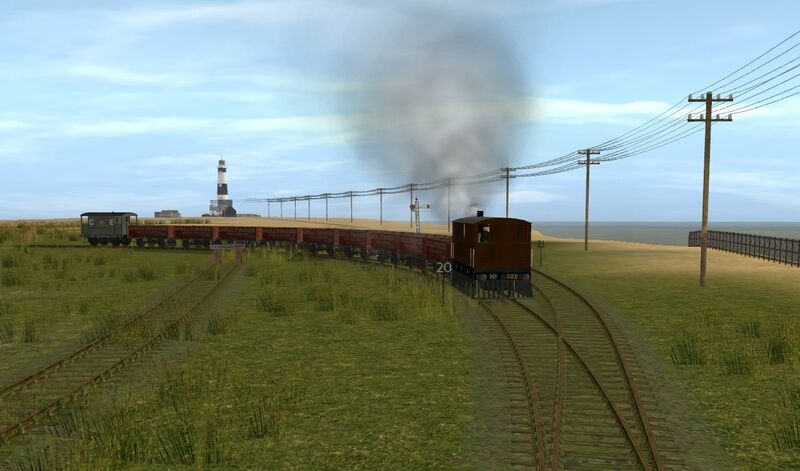 Windweather Tramway, somewhere on the Norfolk coast north of Yarmouth. #1714 Now that's a pleasant scene Ken. Thanks for that, Anne. I say the same for your scene, very East Anglian. Thanks Ken. 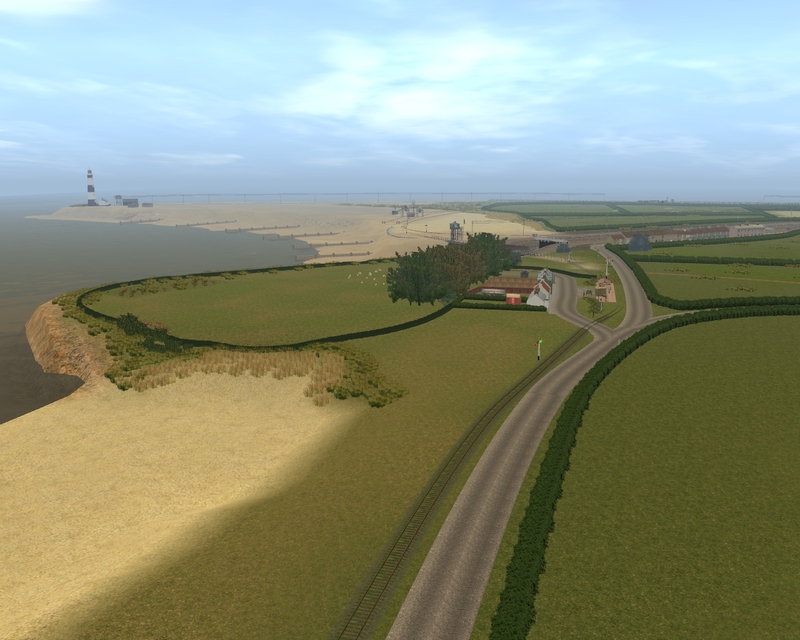 Having been interested in the 'Norf' for a long time and made a few attempts at representing it it seems that suddenly East Anglia got under my skin and that's the area of the UK that I want to model now. 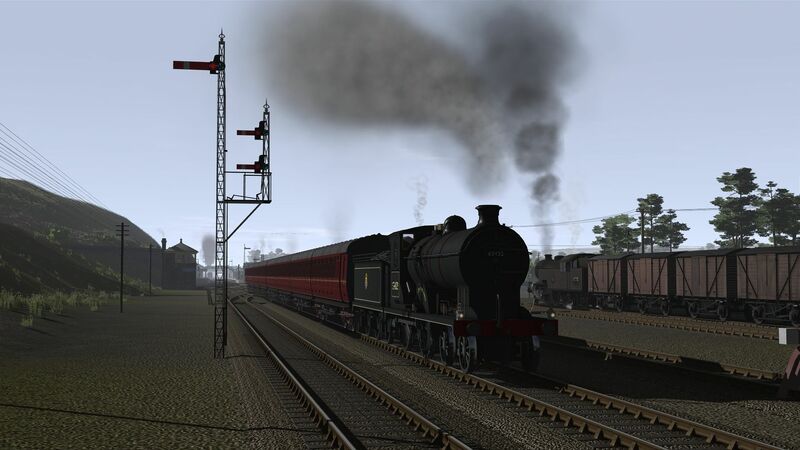 I've started my first fictional BR route, based in the late 1950s/Early 1960s in ex LMS territory. 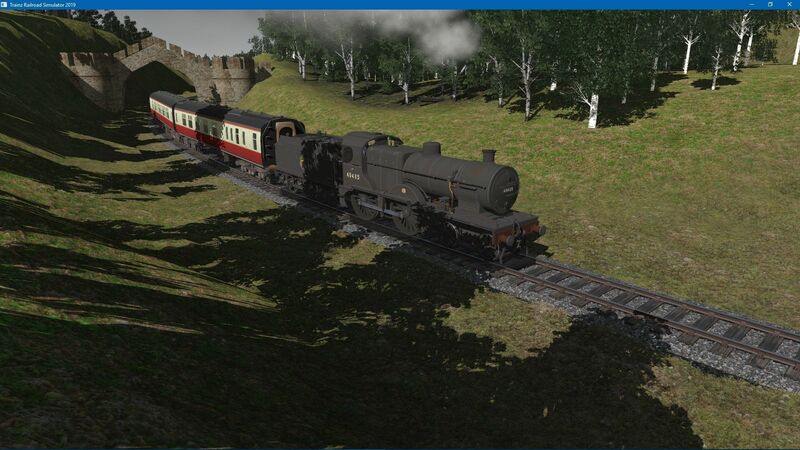 I was not happy with the look of some BR stuff in TANE, but in TRS19, WOW! what an improvement. 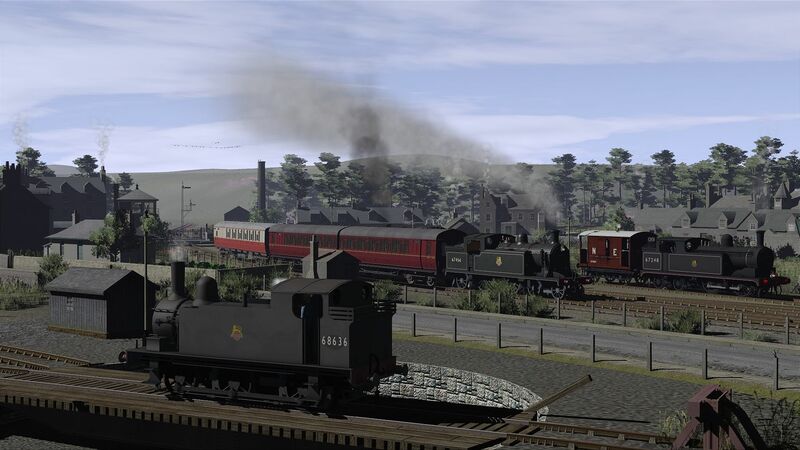 A Fowler 2P on the Halton Curve coming out of Halton town..
Re: #1718 Your last screenshot is a real classic, - two coaches behind a 4-4-0, leafy shade from the trees, - it all looks very nice indeed Graham. Those two viaducts are going to look very impressive once all the scenic work is done. Nice one Anne, makes one think of summer hols long past. Looking good, you show TRS19 to good advantage. 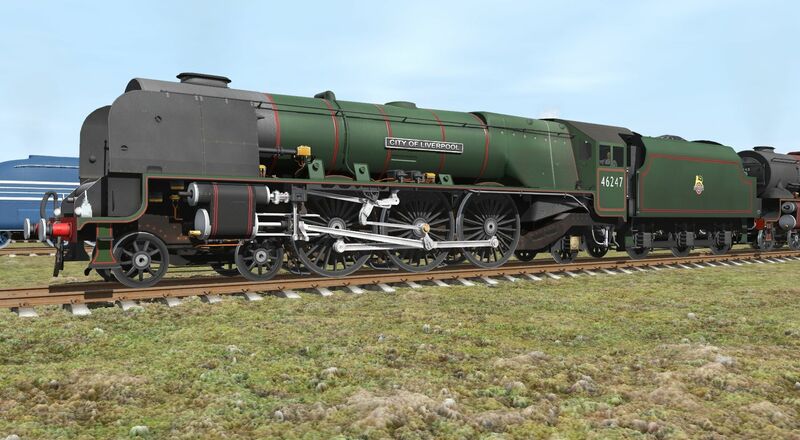 Thank you edh6 for the latest Gresley coach. Thanks Ken. A number of other folk from the Uk have said the same thing to me which makes me very pleased that I've managed to create this coastal landscape in such a convincing fashion despite living thousands of miles away in New Zealand. 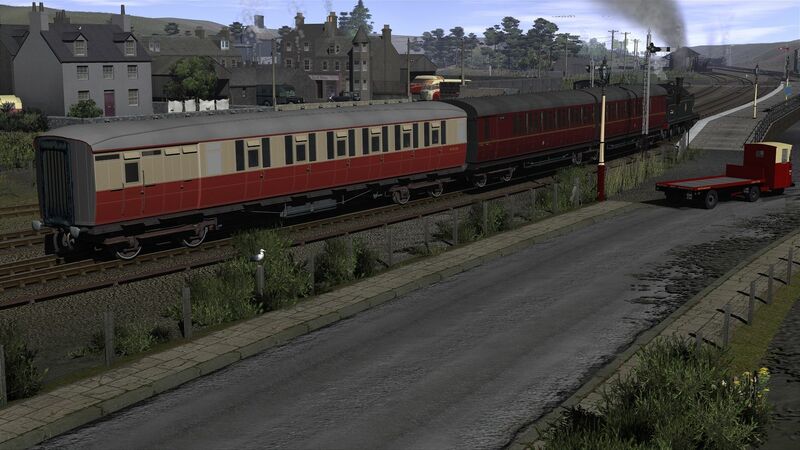 With post #1720 Ed's new coach does look very fine, but it's set off well by the wonderful Scottish townscape you've created. Looking at your two latest screenshots Ken it would be very easy to think they were photos of the real thing. Thank you Anne, I wish the real thing was still here. 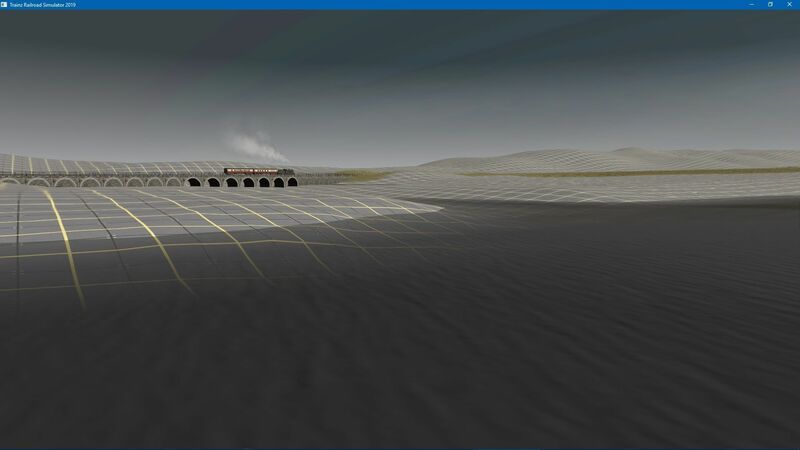 aKP Somewhere in ScR (a WIP). Liverpol is my birthplace, right by 8A shed where I used to get really close to these monsters.